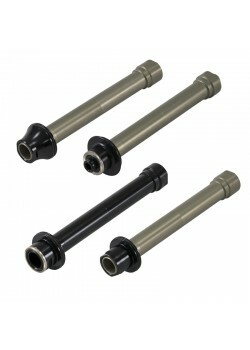 This axle kit contains parts for 2-in-1 wheels (Padova and Vicenza) including one road axle with end.. 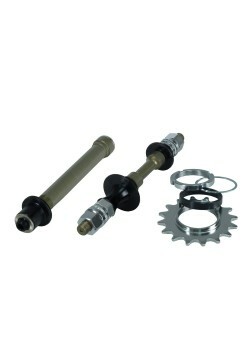 There are two versions of this round seat post adaptor. 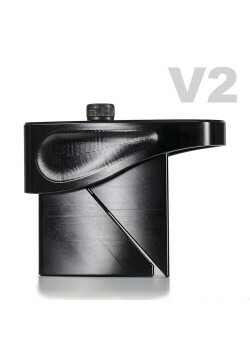 The V1 (89g) is for the older version of Aer.. 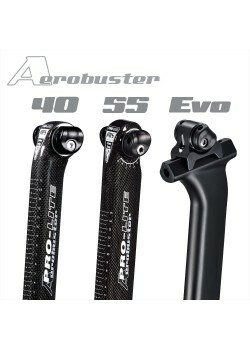 The Aerobuster was one of the first aerodynamic seat posts on the market. They are designed to fit o.. 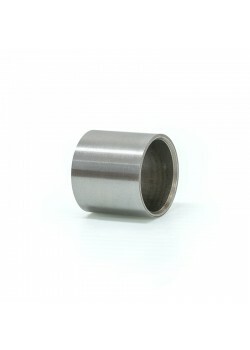 This axle collar is used as a solid bushing inside the freebody to hold it in the optimum position. .. 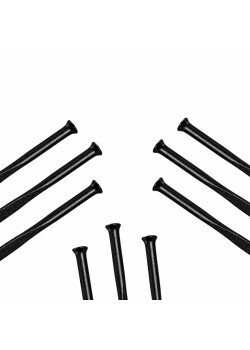 This axle kit contains a basic axle kit. 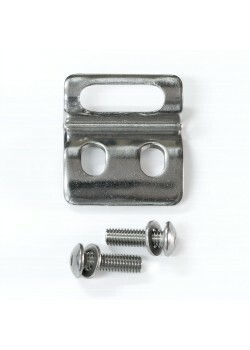 The axle collar is not included. 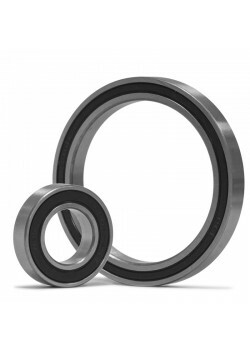 If you are in need of an a..
Bearings are often readily available locally at good prices. The bearing codes will show you the num..
Each container contains 4 pieces, a complete set for front and rear. Note that packaging has not bee.. 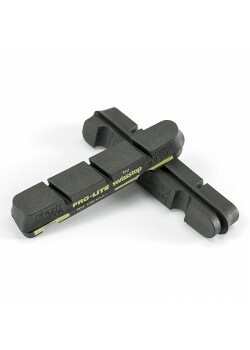 The Triolet 3-zone brake pad uses three different compounds and three different braking surfaces to ..
Each container contains 4 pieces, a complete set for front and rear. 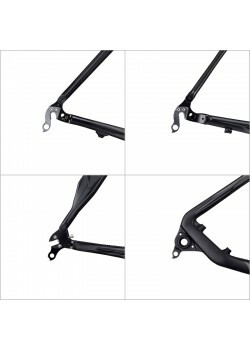 Starting in the ..
Dropouts for Pro-Lite's current lineup of frames. Choose the model from the drop-down menu. The C.. Replacement freebody kits are available for most Pro-Lite wheels. Some wheels are only available wit..
Our frames have two different types. One has an integrated hanger. The other has a bolt-on type. 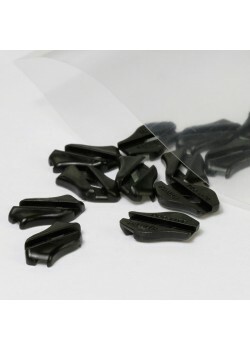 ..
Due to the high cost of alloy spokes, we have decided to make a smaller pack of spokes available. 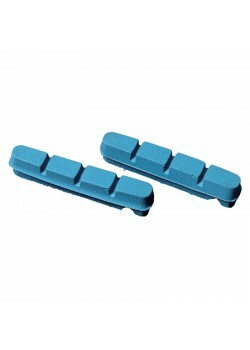 Th..
Skewers are sold in pairs, front and rear. 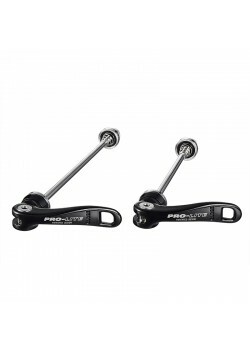 Standard use Pro-Lite quick release skewers. 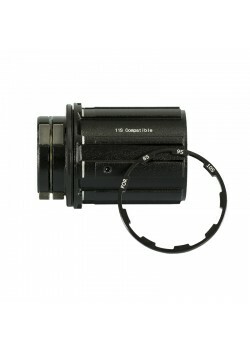 The 130mm.. 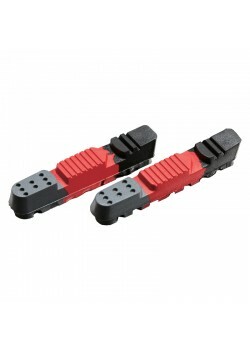 The spoke brace works directly against lateral flex, helping to stabilize the wheel and reduce the a..